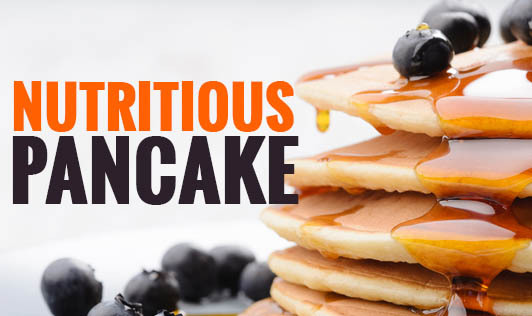 Pancakes make a yummy treat for those lazy Sunday mornings and evenings. Try this healthy pancake recipe filled with the goodness of ragi and flax seeds. 1. Mix ragi, channa dal, cumin seeds, flaxseeds, and coriander leaves. 2. Mix with water and add some salt. 3. Add chicken mince and stir fry until translucent. 4. Prepare pancakes and roast on non-stick pan with 1 tsp oil.